Work for Oracle Insurance Insbridge Enterprise Rating? Learning about Oracle Insurance Insbridge Enterprise Rating? "Strong Technology for the new age of Digital Insurance"
instant quote, policy issuance, and claims submission all through a mobile app. created 30, even 40 years ago. lives of their legacy systems. This company was having difficulty attracting digital business. With the Oracle Digital approach, we have been able to attract a new generation of insurance prospects. The Oracle insurance insbridge offers flexibility. Digital tools require two key components: (1) a simple, easy-to-use UI and (2) a flexible back end. Both elements can provide instant approvals and exceptional customer experience. I find Oracle extremely optimal to use. Their customer service representatives are always more than happy to assist. I also appreciate the fact the company is progressive surrounding their technological developments. Pricing was definitley high and hard to negotiate in the process. There team members are aware of their high technological advancements that well surpass competitors. They have the most lucritive fields and will price a company out for this. Make sure you know what prices are desired before changing companies. I think one thing to consider would be their move forward process. You would want to pick a company that is moving in an adaptable direciton rather than a technology firm that is more set in their ways. Another thing to make sure is that Oracle meets all the requirements that your company requires. In my situation on all important matters Oracle went above and beyond to meet our needs. Oracle has given my client comany the progressiveness it needs to develop a healthy long lasting insurance that will allow compatible technology surrounding its usage. "Oracle helps set the standard"
Oracle makes everything easy. Data importing is easy, exporting is easy, manual entries are easy, storage and accessibility are easy. Account maintenance is the main thing we use it for. It has helped to streamline our account management processes and we are able to get information quicker to our clients and carriers. I don't like being logged out often. There should be an option to trust the computer you are on. Implement with an open mind. I have realized that I have been able to adequately adhere to the customers needs much easier. The ability to get real-time quotes and customer service quickly. There are not any dislikes currently about Oracle. I work in an office where insurance is required and this is a quick fast app company that I can suggest. Tool is easy to use and allows you to quickly get the information that you are looking for. Provides information and anaytics needed to make informed decisions regarding ratings. No real complaints. The tool provides information expected of it. Oracle is a known brand name, so makes the user feel more confident in their products and information. The tool has helped them to get a clear picture of rates with precision. Allowing the company to make business decisions based on the information provided. "Good way to brainstorm "
I like that you can design it to fit your needs. For example, it's a great tool to see certain processes or patterns. It's a neat way to analyze risks and show how to generate more revenue. It wasn't that easy to use at first, it's not as straight forward as say, the Oracle Peoplesoft program. I really like the data sheets that can be populated. Oracle is very intuitive and user friendly. The platform can work in many different applications. I use it in my collection software to track case history. Sometimes it is a little slow when the server is not local. It seems to be worse eighty before they do updates to Oracle. Tracking files electronically versus only via paper files. I appreciate that my work password and username is translated to Oracle so I do not have multiple logins and passwords. All the information is in one place. The expense portion is not as intuitive as I would like. All your information and data management in one software. "Great all around platform "
* We monitor all Oracle Insurance Insbridge Enterprise Rating reviews to prevent fraudulent reviews and keep review quality high. We do not post reviews by company employees or direct competitors. Validated reviews require the user to submit a screenshot of the product containing their user ID, in order to verify a user is an actual user of the product. Hi there! 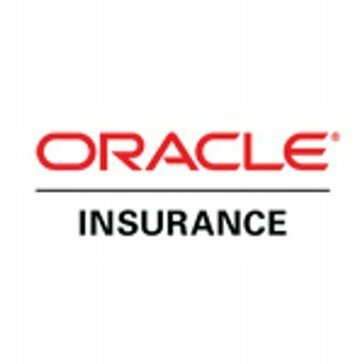 Are you looking to implement a solution like Oracle Insurance Insbridge Enterprise Rating?